Welcome to Parenting a child with Emotional Intelligence. Thanks for stopping by. So it seems we all are in the same platform trying to learn and understand what emotional intelligence is and if that is beneficial for the child to develop such skills and in what way we as a parent can nurture them. Congratulation! You have reached the right destination. In my article, I have tried to gather all information about emotional intelligence and explained in easy simple language the basic concept without going too much about definitions and empirical study. I would try to devise plans and strategies of how to inculcate Emotional intelligence in your child for his successful growth and development. So keep reading till the end for complete knowledge and hands-on tips! Can you help your child develop Emotional Intelligence? 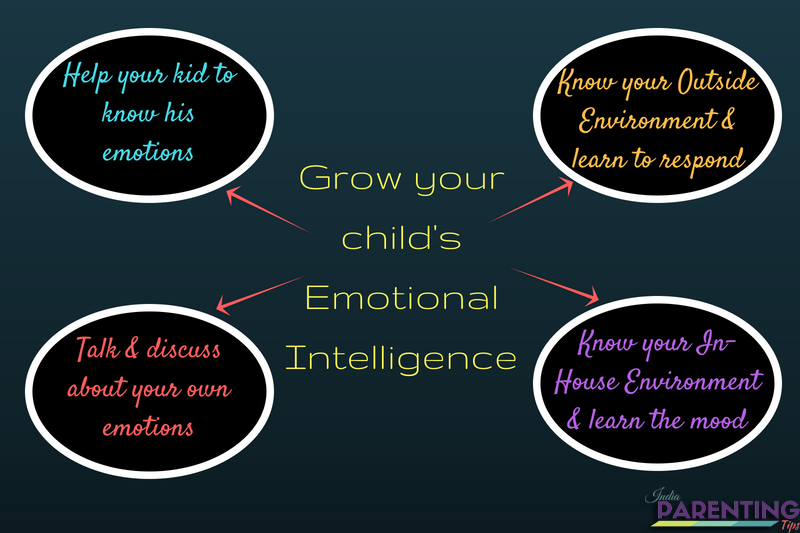 How to help your child grow his emotional intelligence? Emotional Intelligence is the skill or capacity of an individual to control and guide emotions of oneself as well as others empathetically for better understanding a particular issue or concern. In plain and simple terms, when we are able to appreciate, understand and recognize our emotions and take control over it to handle various social and interpersonal relationships in our daily personal and professional life, we are emotionally intelligent. It helps us to use our communication skills effectively to influence the thinking and mindset of others by running influence on their mind. The difference between IQ, Intelligent Quotient and EQ, Emotional Intelligence is that while IQ is limited to books and academics, EQ is more versatile as it involves our social skills and relationship behaviors which are very important for developing leadership qualities pave a steady way to success and development. If IQ can give you success to come first in the Rat race of corporate life, EQ can help you to become Corporate CEOS and Senior Managers! 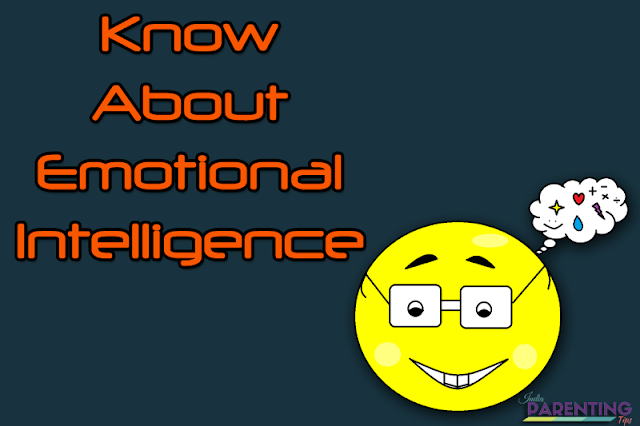 By this time I am sure you can well understand the importance of Emotional Intelligence. For more knowledge how it can be beneficial for your child let me explain further. If you dream your child to be successful professionals great interpersonal skills while dealing with people that he or she is a magnetic personality and people get fascinated and immediately captivated with his or her charm and personality you need to know about Emotional Intelligence. This is skill os for further leaders and to be top successful professionals with great personal relationships. It gives a person a strange combination of being a success yet socially engaging and appealing. Creating Success in Personal life. Creating Success in Social relations. Creating Success in developing a Leadership role. Creating Success to understand things with Empathy and Intellect both. Creating Success in achieving great Career goals and objectives. Success in achieving great performance. Success in having a good physical health with less chance of stress and hypertension. Success in developing and nurturing great relationships. Success to be mentally strong and relaxed. However, we should keep in mind that each child is different. Some children are more socially receptive and can easily deal with the various situation. There are on the other hand some children who have lower EQ from the start and need our help to start developing those skill sets. 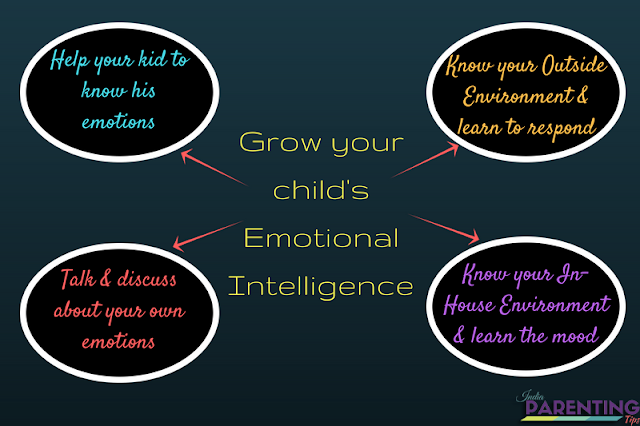 No matter what level your child is you can always start nurturing his or her EQ, Emotional Intelligence. Emotional intelligence consists of basic attributes. If we act on them and try to develop such skills in children from the beginning, it would definitely help us to be Emotionally Intelligent. Help your kid to know his emotions: Children often fall short in identifying their own emotions. Teach them words to name their emotions. Ask them to talk about it or draw it out what they feel. It can be positive emotions like happy, excited, surprised or even negative emotions like sad, angry, cry and so on. Once the child knows his or her emotions at the particular time, he or she would feel more confident to talk about it. You can make use of emoji’s as cards and ask the child to identify which feeling they are experiencing at the moment. This way the child will know his or her emotions and would be able to express it clearly. Talk and discuss your own emotions: It is very important for parents to talk and discuss your various emotions and feeling to children. If we can demonstrate our true emotions and give reasons why we feel that way it would be a hands-on training for the child to easily understand it. The example I am so tired today since I had a hard day at work. I am so happy because we have just bought a new car. Know your In-House Environment and learn the mood: Help your child to understand and identify the mood of the house. Example, on a sunny day, the mood of the house might be joyful and happy. On a busy day, the house may be noisy and chaotic. On a weekend the house might be quiet and relaxed. This way the child would be able to appreciate and understand his surroundings and learn to adapt and respond to it with confidence. Know your Outside Environment and learn to respond: Help your child to identify various emotions that they might be experiencing and different places. Example In a movie hall they might feel excited to see a horror thriller. In the playground, they might feel carefree and joyful. In a restaurant, they might feel strange cravings for any particular food. In this way, if we can bring some awareness of emotions to various environments they would find it very easy to identify them and respond quickly and easily. From book smart, they would turn out to be street smart as well. I hope I was able to bring some awareness about Emotional Intelligence and help parents to develop this amazing skill set in our children.